JibJab is and has always been a little obsessed with beer. Take 2005 for instance, when we teamed up with Budweiser to animate their infamous Clydesdale and Lizard mascots for a “ditch the hard stuff, go with beer” campaign. 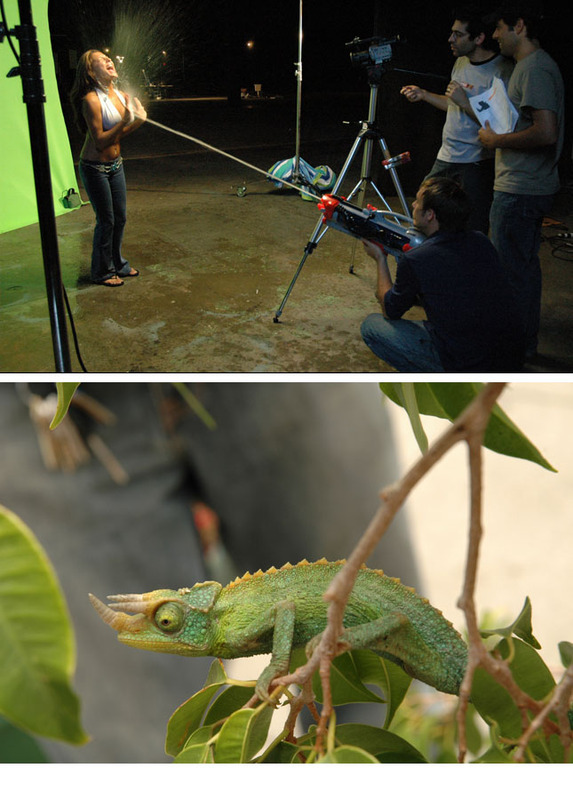 It put us in the studio with live chameleons, super soakers and… well, free beer! We were pretty much living the dream. While digging through the archives for pictures, we wayback machined ourselves so that you can relive JibJab.com circa 2005. Searching through those old files also revealed a hilarious website that was started by a blogger who insisted that the “blogging community” was “outraged” by our ads, going as far as to make a song blasting us for our misdeeds! Truly hilarious. This entry was written by paulhanges and posted on August 24, 2010 at 6:23 pm and filed under Back in Tha Day. Bookmark the permalink. Follow any comments here with the RSS feed for this post. Trackbacks are closed, but you can post a comment.